. Published on February 20, 2019 . My last semester. I have started to feel the pressure of graduation and finding a job. But, as a film student, I’m so excited to walk out from Columbia College Chicago with all the things that I have learned. Some of our classmates have already shot their films or in the process of shooting. It is so exciting to see them making it happen. Since me and my producer have been working on our thesis project for more than seven months, it excites me to see my classmates starting theirs. I’m happy that they are having great shoots and they are happy at the end of it. A photo from our audition sessions. Meanwhile, I started to think about plans after graduation. Since we are not going to be able to screen our film this semester, I am not going to be graduating officially. But what I am going to be doing is taking a zero-credit thesis class and still be enrolled. That way we can have more time to prepare for the shoot and also have more time for the post-production. After shooting the film, I am planning to apply for jobs and get a work permit with Optional Practical Training which is an opportunity that is given to the international students to get professional experience. 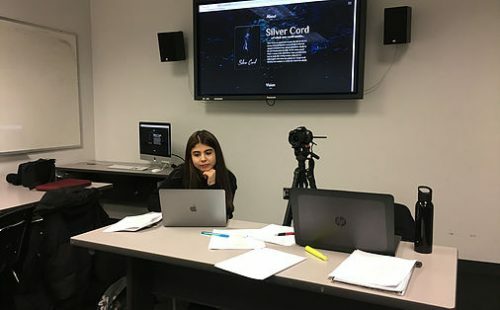 Other than all the work for Silver Cord, our professor, graduate program coordinator, and thesis film advisor David Tarleton’s film Hunter was screened at our campus. 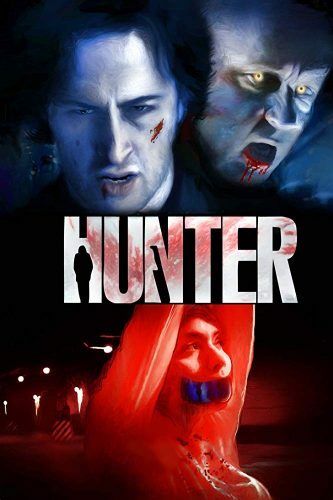 We had an opportunity to watch Hunter in our theatre room. It was my second time watching the film after analyzing it with David in his class, so I got to enjoy it again. Watching it a second time made me realize how important it is to learn from the people who are making it. David, like the other professors that we have, understands a production’s needs. So it is so much easier to communicate with him because he foresees the problems and he understands what can be made.